What is the Moto Sticker Pack? They say a picture paints a thousand words. 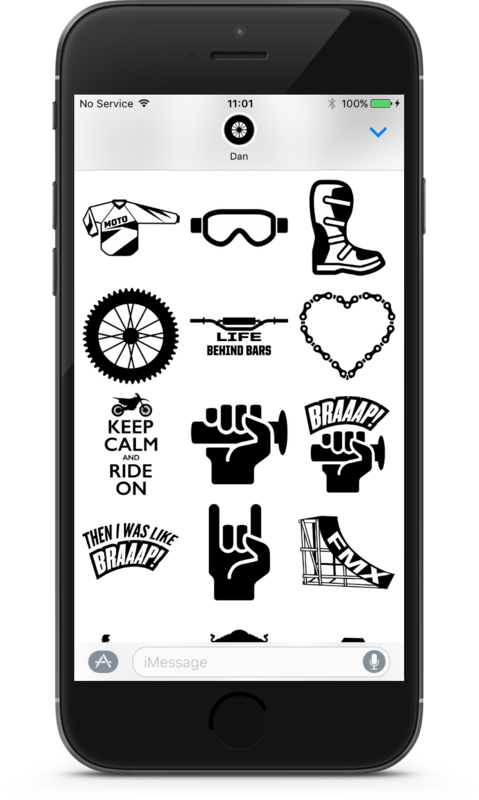 Well now all you dirt bike kids can finally truly express yourselves with the power of Moto Messages, the most detailed iMessage sticker pack for offroad fans, that's packed full of moto goodness. The Moto Sticker Pack comes with over 40 moto-inspired icons with more to come in future versions. Whether you're letting your mate know they rode like a rookie at the weekend, or rode like the G.O.A.T himself, there's a sticker for that. Nothing quite beats the feeling of letting your chum know it's time to get up and get loose on their bike.